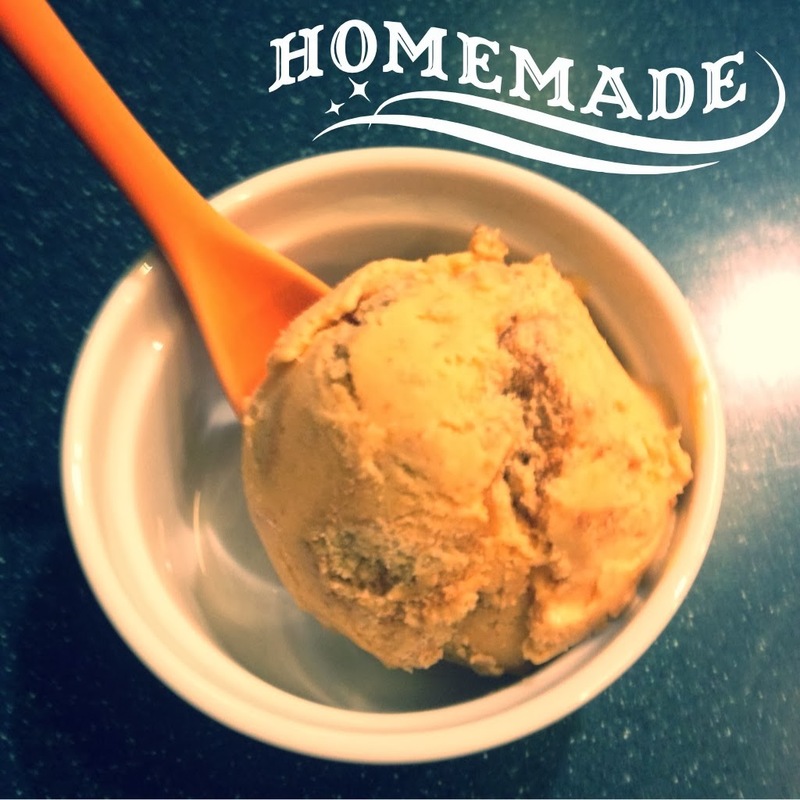 I tried my hand at homemade pumpkin ice cream! I used this recipe that I found on Pinterest. 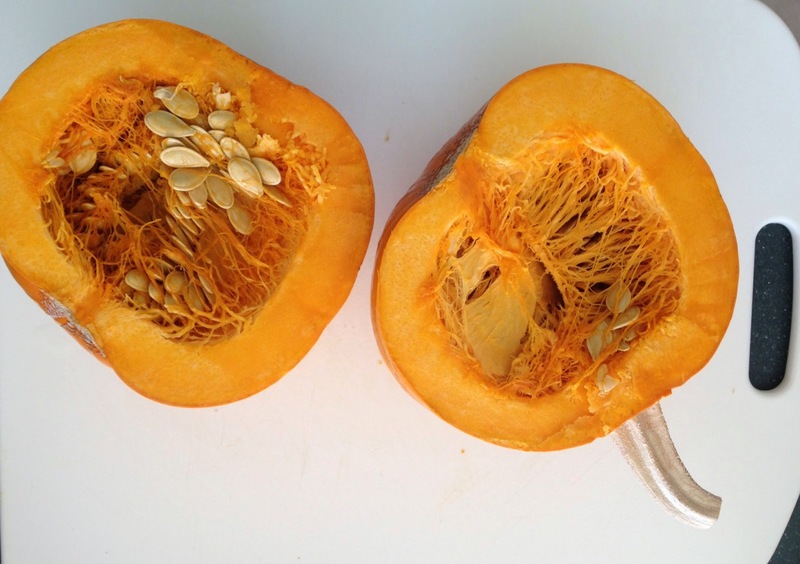 The secret ingredient was milk powder, which was supposed to mix with the pumpkin puree to prevent it from getting icy. The ice cream turned out super creamy, so I'd say it worked! The recipe called for crushed graham crackers, too, yum! 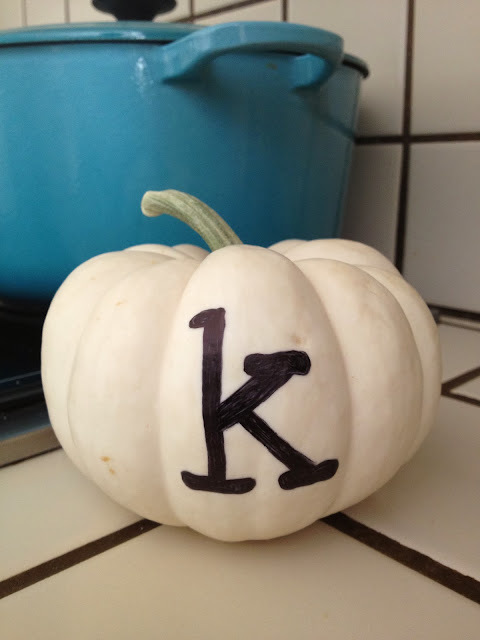 We haven't been to a pumpkin patch yet, but I did pick up this decorative little white pumpkin at the grocery store. I used a black sharpie to monogram it (also a Pinterest idea!). 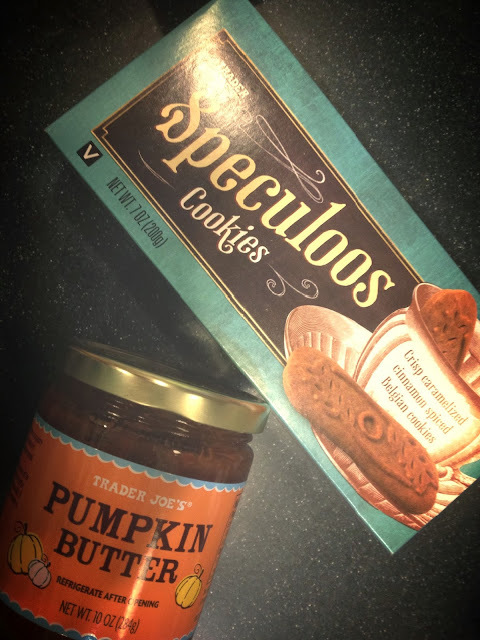 I found Pumpkin Butter at Trader Joes! It's especially tasty when paired with these gingersnap-type cookies also from there. I slice them, remove the seeds, and roast for an hour at 450 degrees. After that I puree the pumpkin, and it's ready for little man! 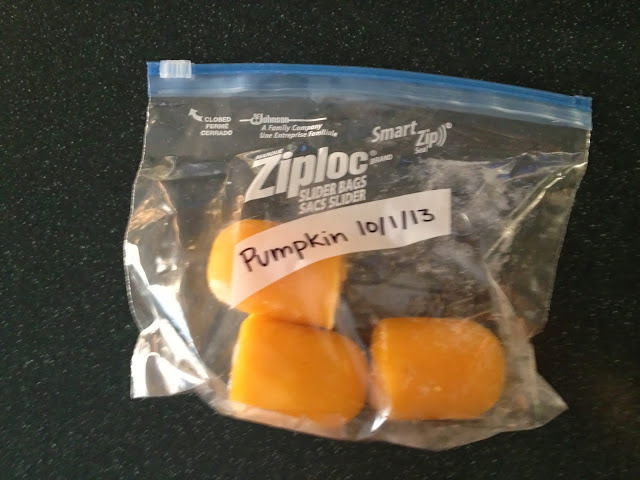 I freeze individual portions that I can thaw and serve. I love that Parker can share in the pumpkin goodness that comes with fall! 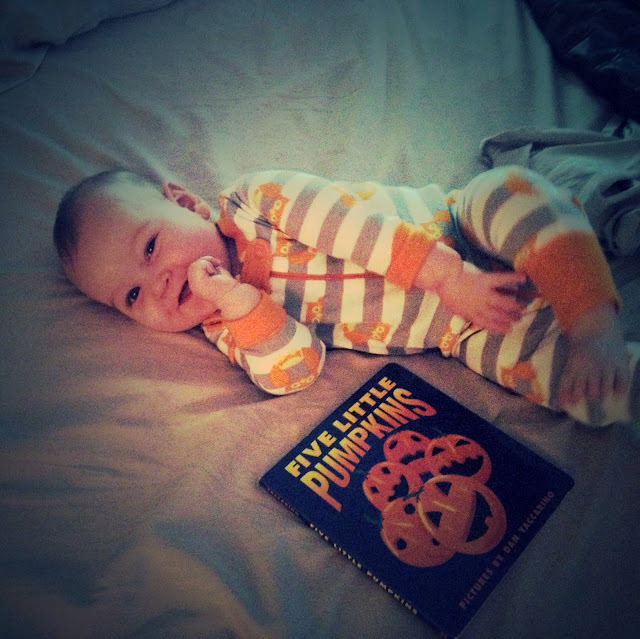 We've also been devouring books about pumpkins and Halloween! 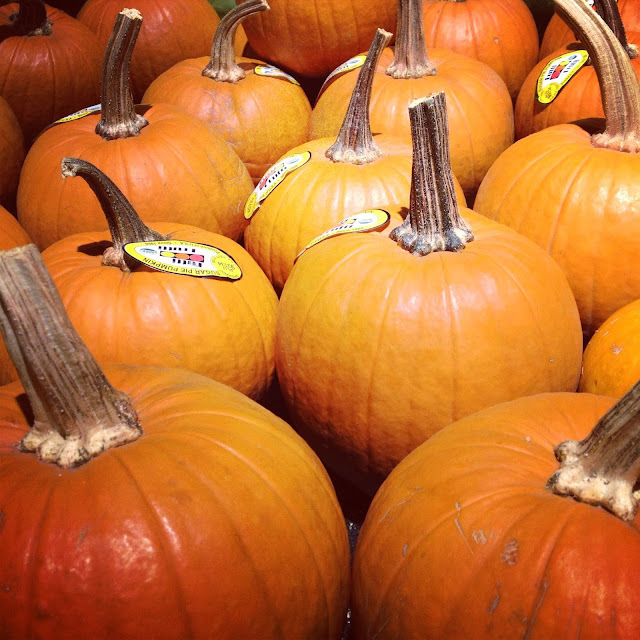 Five Little Pumpkins is a favorite! I used to chant this poem with my firsties so I love that I can now introduce it to my baby boy! 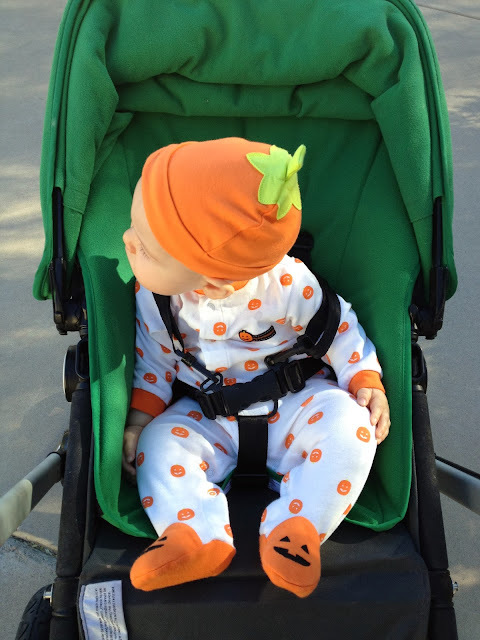 And of course, my favorite little pumpkin of all! Who can resist cute seasonal outfits? Happy October!